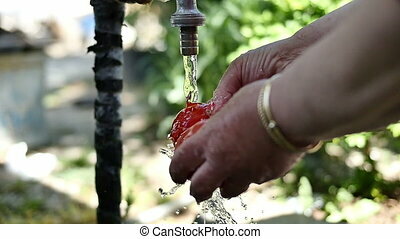 Hands washing tomatoes under the tap. 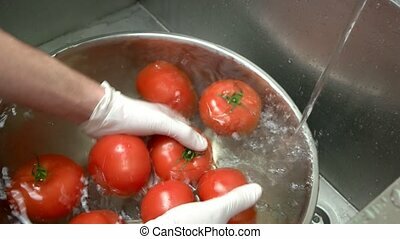 Hands washing tomatoes. 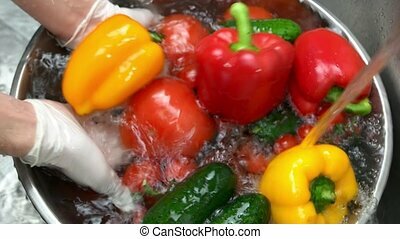 Ripe vegetables in water. 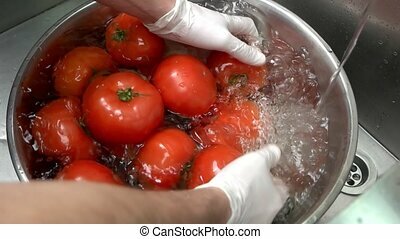 Hands washing tomatoes in bowl. Ripe red vegetable. 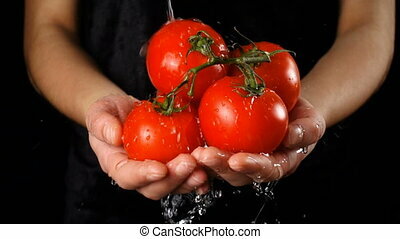 Hands washing tomatoes, slow motion. 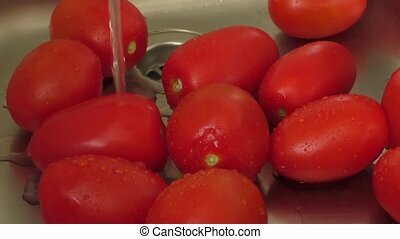 Red vegetable and water. 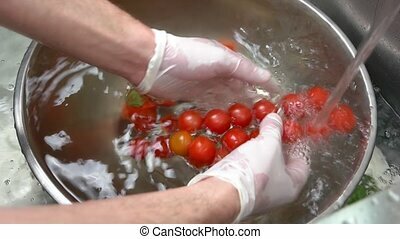 Hands washing tomatoes in basin. 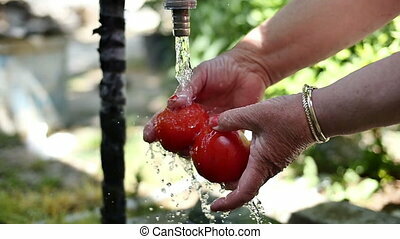 Water flows on red tomatoes. 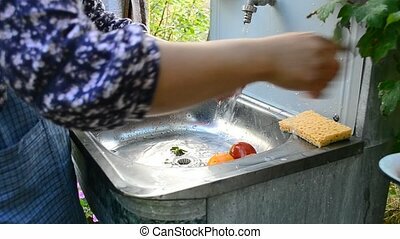 Fresh vegetarian food. 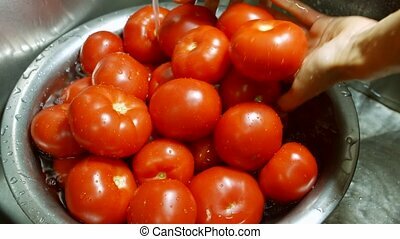 Ingredient for special sauce. 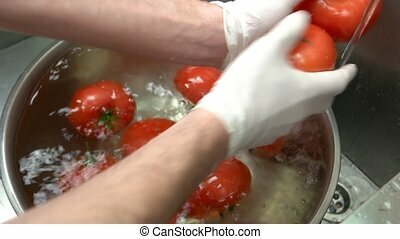 Hands washing ripe tomatoes. 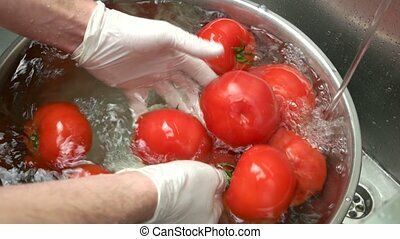 Red vegetables in water. 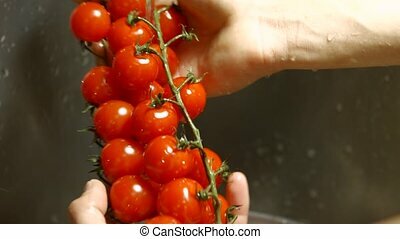 Male hands washing cherry tomatoes. Small red vegetable. 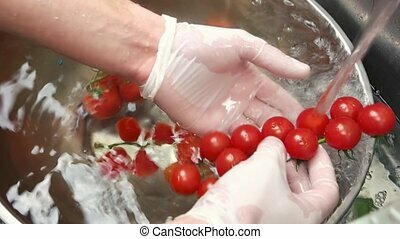 Hands washing fresh vegetables. Bell pepper and tomatoes. 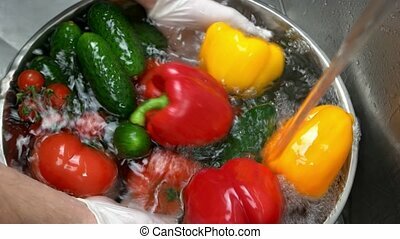 Hands washing colorful vegetables. Paprika, tomatoes and cucumbers. Vitamin rich foods.